Rare footage taken on January 21st 1945 of the capture of Ramree Island by the British 26th Indian Division. The film follows the Allied Forces combined efforts against the Japanese fortifications on the island. 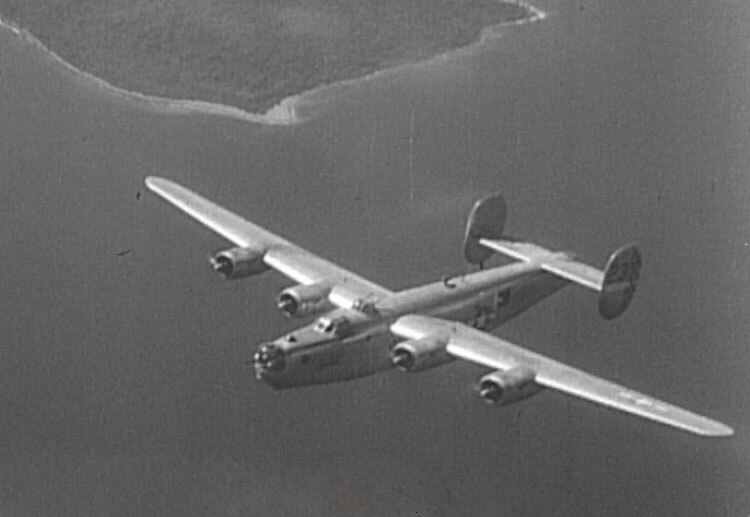 US Air Force B-24 Liberator’s drop fragmentation bombs whilst ships from the Royal Navy bombard the tropical island. British forces conduct a beach landing compromising of assault craft, military vehicles and artillery advancing towards the main town of Kyaukpyu. Finally a US C-47 brings US Deputy Supreme Commander of Southeast Asia, Lieutenant General Raymond A. Wheeler to meet British Major General Cyril E.N. Lomax, Commander of the 26th Indian Division to consult together about the battle for Ramree Island. What about the crocodiles? I hear tell they lent the Allies a hand, or a mouthfull of teeth more accurately. Upon retreating into the Ramree mangrove swamp, the Japanese force of around 1,000 was bitten by misquitos, stung by scorpions, and picked off and eaten by huge salt-water crocodiles infesting the mangrove swamp and island waterways. Someone needs to tell that story.